With the increasing battle for young people to find employment, one local college has launched a new initiative to help students ‘Get the Edge’. Over 2000 students from South Eastern Regional College (SERC) took part in the new initiative which has been designed to help them gain vital employability skills including problem solving and communicating solutions as well as achieving an additional City and Guilds qualifications. Students in small teams competed in a challenge to identify an innovative solution to a specific problem, tailored towards each vocational area, which they presented to judging panels. 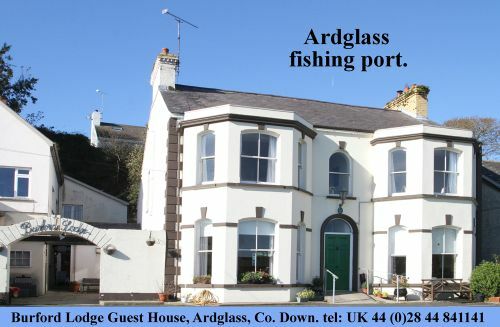 Particularly aimed at new students, the ‘get the edge’ competition was designed as an exciting and enjoyable way to learn about the College and meet new friends in a fun and informal way. The week also enabled students to realise how high the standard is at SERC, and, that while they have to work hard, in doing so they will make a lot of friends along the way that will support them throughout their course. 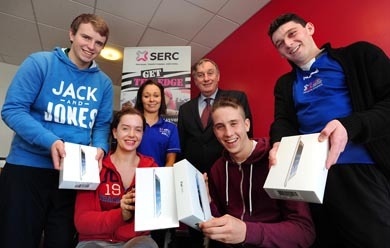 The winning group of students, The Lequitch, were crowned College Champions at a special event held in SERC’s Downpatrick Campus, each picking up an IPad! Martin Keenan from winning the team said: “I’d definitely recommend Get the Edge to other students and fresher’s. I wanted to build up my confidence and the SERC Get the Edge Challenge helped me do exactly that. The initiative really encouraged me to go out of my comfort zone. “Our team devised a new innovative sport called Lequitch which is an amalgamation of La Cross and a fictional sport which appears in Harry Potter called Quidditch. The idea was to design a new, low cost sport that would interest kids. By allowing students the opportunity to get involved in this initiative they have gained vital skills which will be required by a future employer, and will play an important part in securing employment. For further information about how SERC can help you ‘get the edge’, please call 0845 600 7555.
or find SERC on Facebook at South Eastern Regional College.